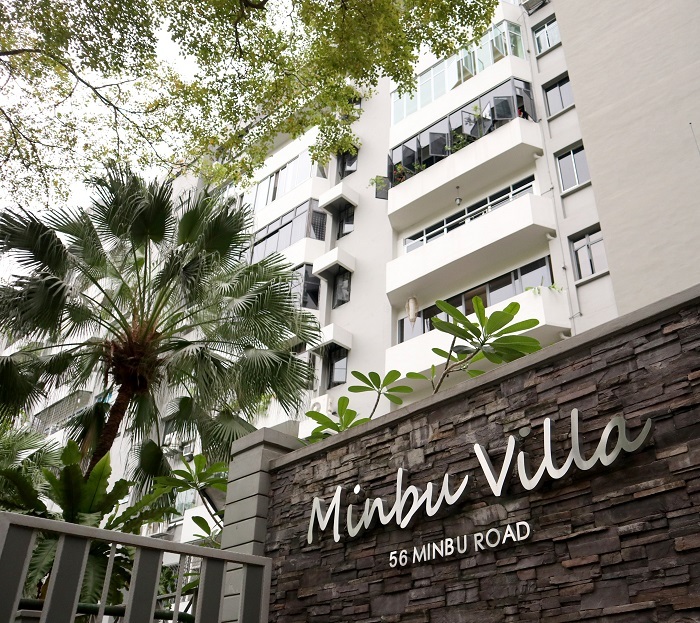 Minbu Villa, a freehold development in the Balestier area, is up for collective sale again, after an unsuccessful attempt in March. The reserve price may be lowered from the initial $145.8 million ($1,355 psf per plot ratio), to $129.1 million ($1,200 psf ppr). Savills Singapore is brokering the sale. More than 60% of the owners (by share value and strata area) have signed an agreement to lower the price. In-principle approval has been granted by the Singapore Land Authority for the alienation of an adjoining state land of about 195.9 sq m (about 2,109 sq ft). This may potentially lower the land rate by another $34 psf ppr. Completed in 1981, the 10-storey Minbu Villa comprises 33 apartments and a penthouse. It occupies an elevated plot of 38,426 sq ft at the cul-de-sac of Minbu Road. Under the 2014 Master Plan, the site is zoned for residential use with a gross plot ratio of 2.8. Subject to approvals from the relevant authorities, the site may be developed up to 36 storeys with an allowable gross floor area of 107,593 sq ft. There is no development charge payable, including the additional 10% gross floor area for balconies, due to the high development baseline of about 125,766 sq ft. The tender will close at 3pm on Dec 18.